Do You Need to Solve Bigger and More Complex Problems Faster? Whether you are looking for a faster version of the Excel Solver, need to handle larger problems, or want to solve problems the basic Excel Solver simply wasn’t designed to handle, you've come to the right place. Because we developed the Excel Solver, and our products are 100% upward compatible from it, upgrading is easy and your learning curve is low. Your existing Solver models, and even any VBA code you’ve developed to control the Solver, can be used without any changes. You'll just get faster and better solutions, more reports and charts, and many new options to use to get the results you want. The payoff to upgrading can be great – depending on the problem and the size of the business, it's not unusual for our Solver users to help their companies save millions of dollars! This page and links will help you learn more but please feel free to contact us with any questions. We are happy to discuss your situation and help you determine which product is right for you. Our upgrades to the Basic Solver in Excel can solve problems up to 40 times the size (or unlimited with optional plug-in engines), at speeds up to 100 times faster or more, and use new techniques and additional built-in engines to help you get better answers to a wider variety of problems. In addition, many of our upgrades come with a range of additional built-in features to help you both accomplish more in less time and get better answers, such as Guided Mode, Automatic Mode, and Interactive Mode. Guided Mode helps you better understand your model, address any problems, and even helps explain the type of answer you reached. Automatic Mode analyzes your model to determine its characteristics and then automatically chooses the best methods and best available engine to solve it so you get the most accurate answer in the least amount of time. Interactive Mode takes advantage of the speed of our Solvers to allow you to perform real-time, interactive optimization for deeper, faster what-if analysis in ways which simply aren’t practical with competing products. Frontline Systems is also a leader in Monte Carlo simulation software technology and we even developed the Extreme Speed feature of Oracle's Crystal Ball. If planning for the future and managing risk is important to you, then you may be interested in Risk Solver Platform. In addition to including comprehensive optimization capabilities, it provides state of the art simulation, simulation optimization, and stochastic optimization capabilities to help you make the best decisions under uncertainty. 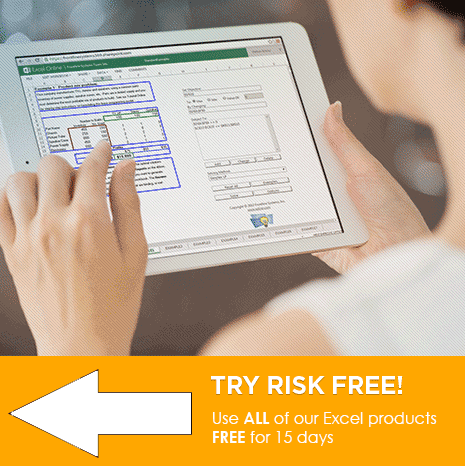 Our upgrades from the basic Excel solver include a much more powerful set of built-in engines able to solve a wider variety of larger problems, often in less time. However, if your optimization model is likely to exceed the size limits of the built-in Solver Engines, of our Platform level products, Premium Solver Platform and Risk Solver Platform, accept a full range of optional plug-in Solver Engines that handle larger-scale problems of a specific type. If you register, you can download and try out all eight of our Solver Engines! In addition, you can look at our Products Overview page, review our Product Comparison Chart (PDF), and see our Competitive Pricing which includes comprehensive technical support. As always, we are here to help. Feel free to contact us with any questions.